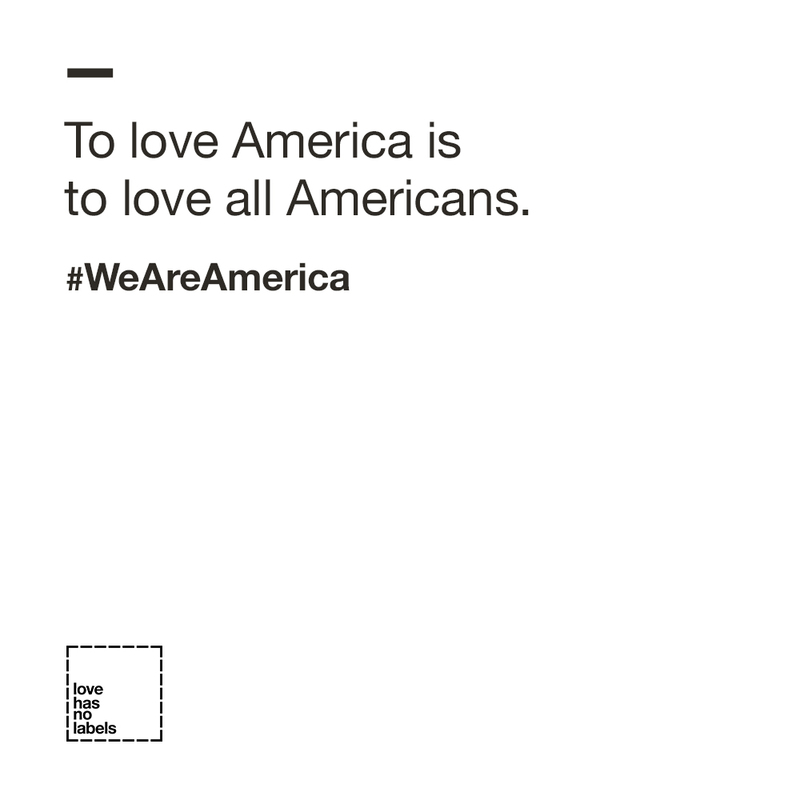 To coincide with Independence Day, the Ad Council, R/GA and an unprecedented group of brands launched “We Are America,” an extension of the iconic Love Has No Labels campaign, explaining that love for country is love for the people who make up this country. 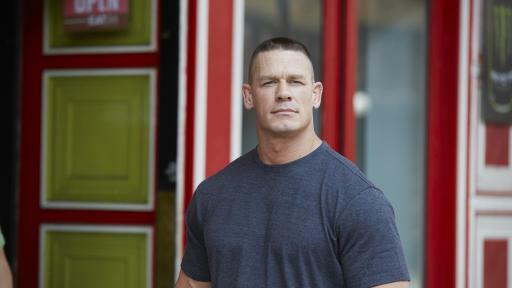 The new PSAs, featuring WWE Superstar John Cena, continue to further the campaign message of acceptance of all communities regardless of race, religion, gender, sexual orientation, age and ability. Love Has No Labels encourages audiences to recognize their implicit bias – biases that live in our subconscious – in order to promote inclusion. 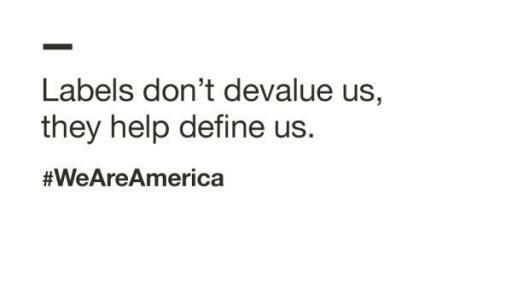 “We Are America” invites everyone to submit their photos to demonstrate the true diversity that makes up America. 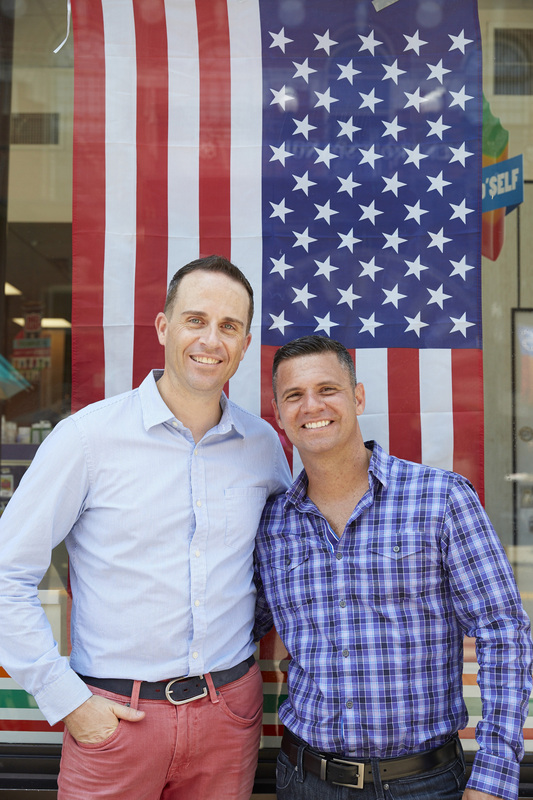 Upworthy, a 2015 campaign launch partner, shared “We Are America” on its social platforms and will be creating a series of videos launching in the coming months to help further the campaign message. 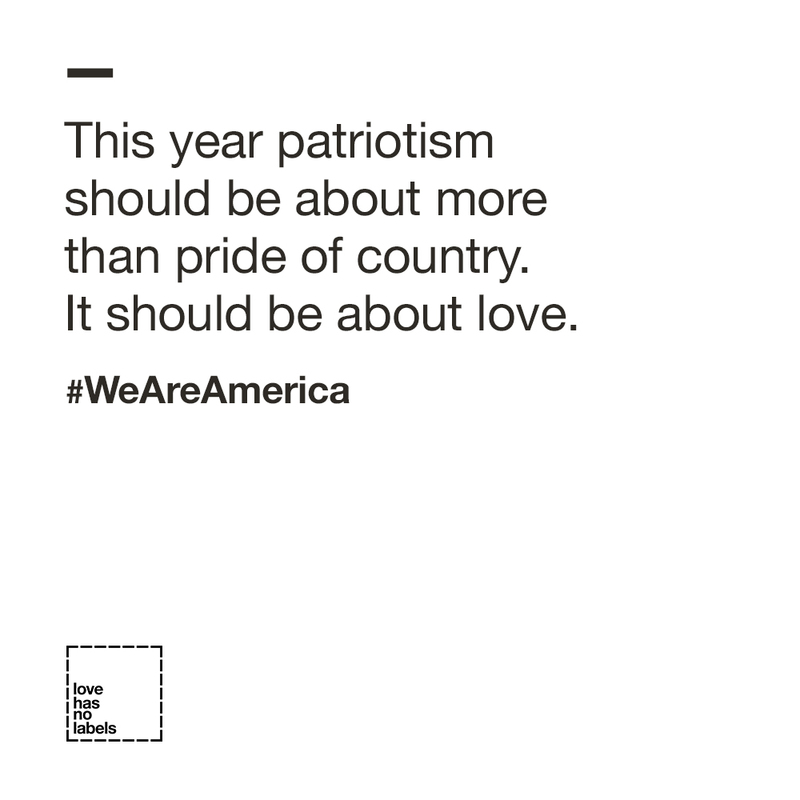 The new PSAs, created by R/GA, encourage people to define their love of country as love of all Americans. 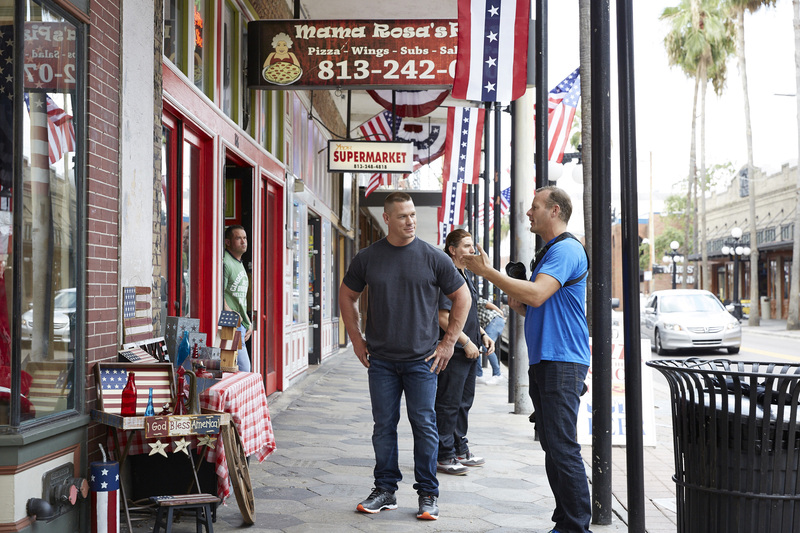 The long-form video and TV spot feature Cena walking through a diverse neighborhood while talking about how the real average American is likely different than the person viewers may imagine. 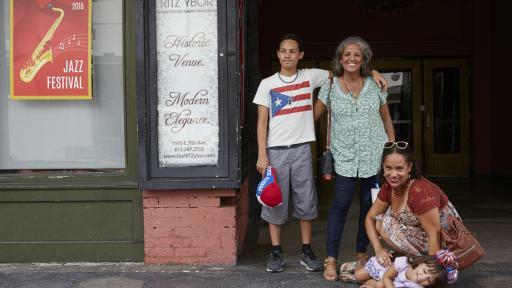 By enumerating some of the many labels Americans proudly use to define themselves – Latino, disabled, lesbian, Muslim, senior citizen, African American and others – the video concludes that to love America is to love all Americans. An advisory board of nonprofit partners, including The Perception Institute, Southern Poverty Law Center and Anti-Defamation League, lent their expertise to ensure that the PSAs represented diverse perspectives and addressed the issue of implicit bias. In addition to the television and online videos, the integrated campaign includes out of home and print advertising, all of which are running entirely in time and space donated by the media. "It's a privilege for us to continue working with the Ad Council. Like last year, the power of the campaign came from its honesty. To celebrate the real America is to celebrate the real people that make up this country," said Nick Law, vice chairman, global cco, R/GA. “As someone who moved to the U.S. 22 years ago, I've benefited from the openness and generosity of this country. And it's this inclusive spirit that now makes me proud." To accompany the PSAs, the campaign launched a Portrait of America photo tool allowing users to create custom gifs that highlight the diversity of America. Love Has No Labels encourages users to submit their own photos which are combined with other users’ images to create an animated sequence of portraits. 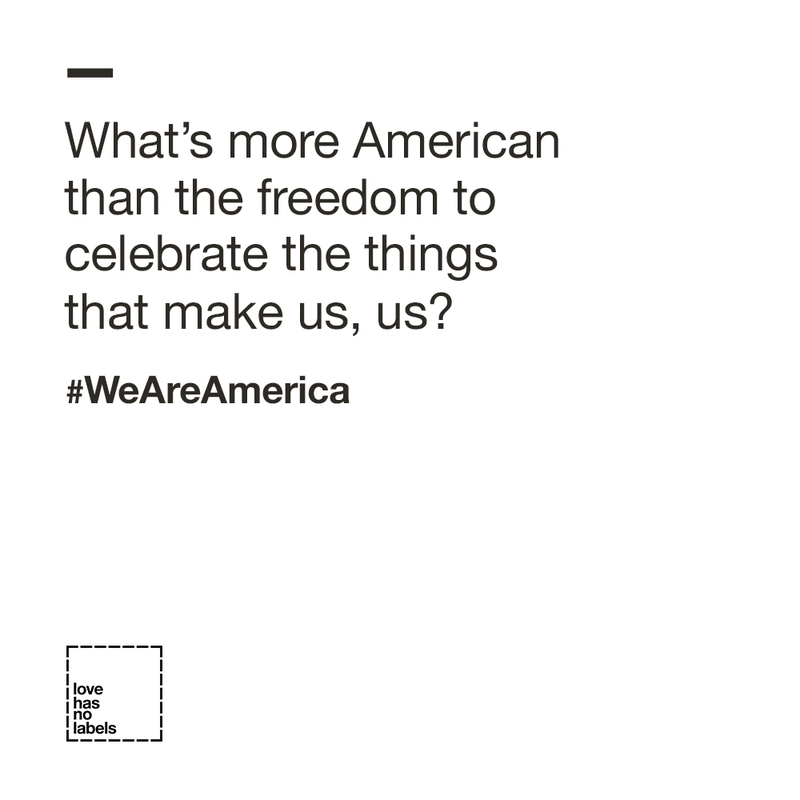 The gifs will reflect the true diversity that makes up America today and users are encouraged to share them across social channels with #WeAreAmerica. The gif generator is prominently featured on the redesigned campaign website. 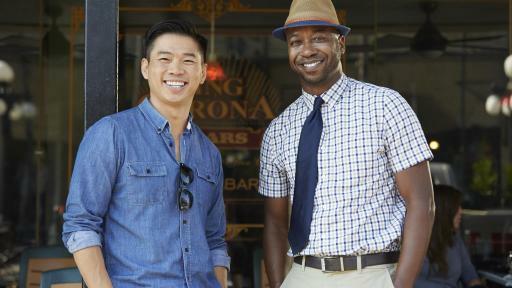 Through Stackla, a content marketing platform, the new homepage aggregates and highlights portraits of Americans from all backgrounds. HelpsGood, a social good-focused digital agency, will post messaging on the campaign’s social channels to encourage users to share stories representing “We Are America” on Facebook, Twitter and Instagram. 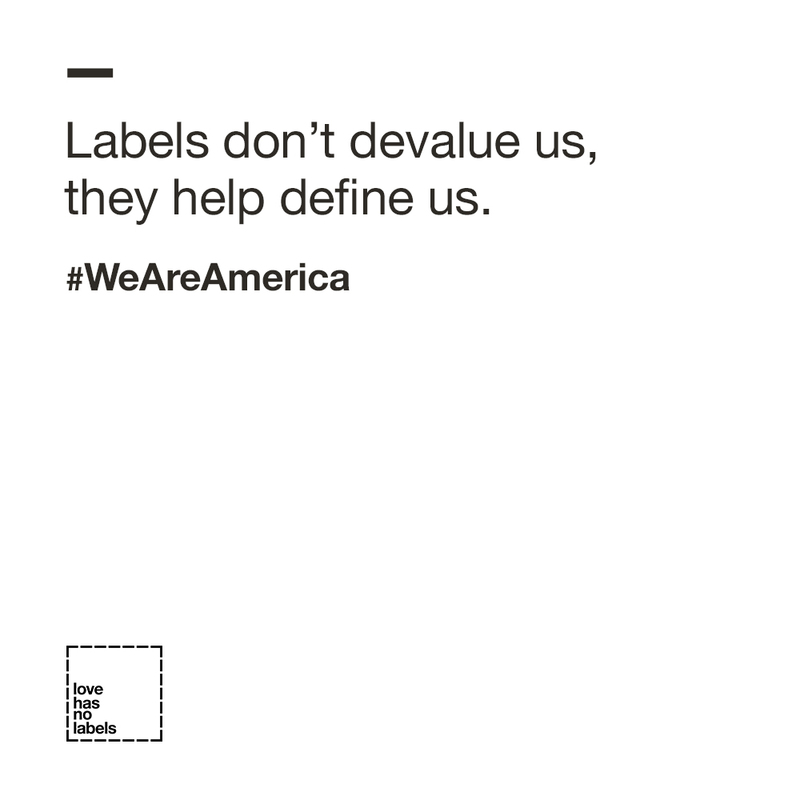 The campaign brand partners, including founding partners The Coca-Cola Company, PepsiCo, P&G, Unilever and State Farm®, and recent partners, Google and Johnson & Johnson, are supporting “We Are America” by promoting content across their channels. In time for the launch of “We Are America,” Google joins this group of brand partners to advance the reach and impact of the PSAs. In addition to funding the campaign, brand partners will show their support during the year through on and offline activations including, social influencer programs, social messaging, employee engagement, events and more. 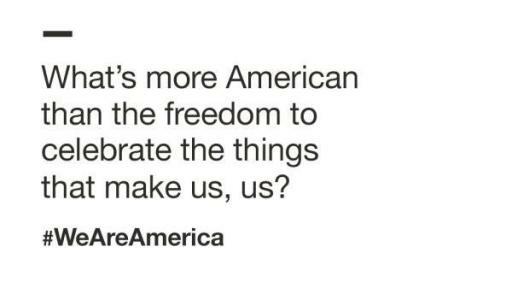 Upworthy featured “We Are America” on its social channels yesterday and will be producing a series of additional videos celebrating the diversity of America throughout the year. “Upworthy is thrilled to support the Love Has No Labels campaign again this year. 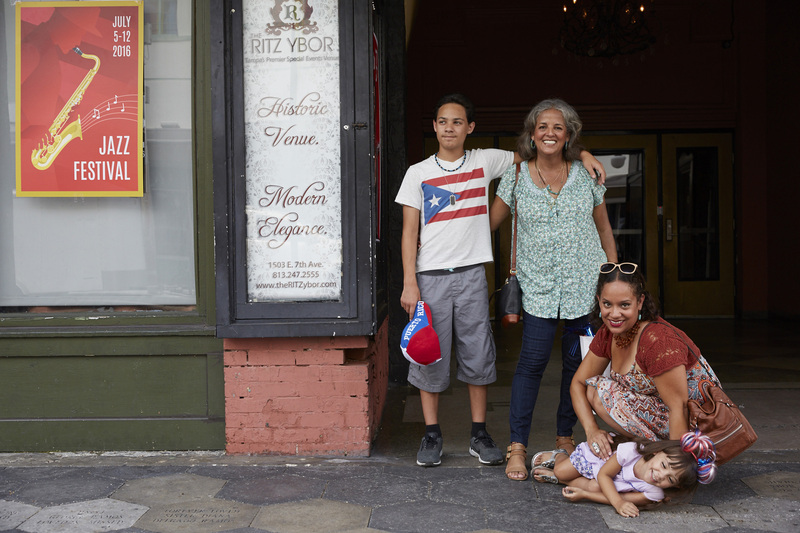 Our mission is to change what the world is paying attention to, and this campaign helps draw attention to the diversity at the heart of America. 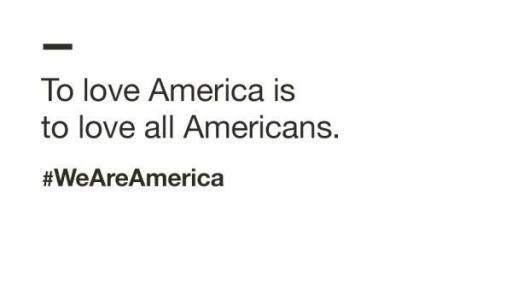 We are all America, and we are all part of the same story,” said Eli Pariser, co-Founder of Upworthy. The fully integrated campaign also includes support from key partners including Facebook, Twitter, Buzzfeed and WWE. Through a Facebook ad unit, people can participate in the campaign directly from Facebook. 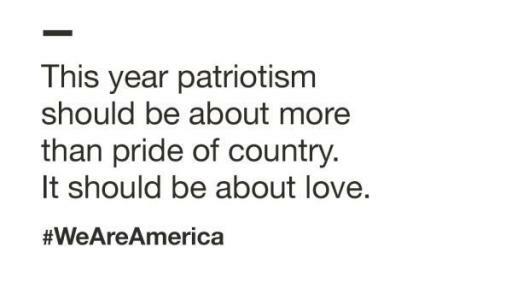 People will be able to visit LoveHasNoLabels.com and share their #WeAreAmerica photo from within the ad unit after watching the video. Additionally, Twitter launched a new custom Love Has No Labels emoji (available through August 4th) for #WeAreAmerica or #LoveHasNoLabels. When the hashtags are used in a tweet, a custom emoji of diverse holding hands will appear representing unity, love and the diversity of Americans. Twitter will also promote the emoji through donated media support. 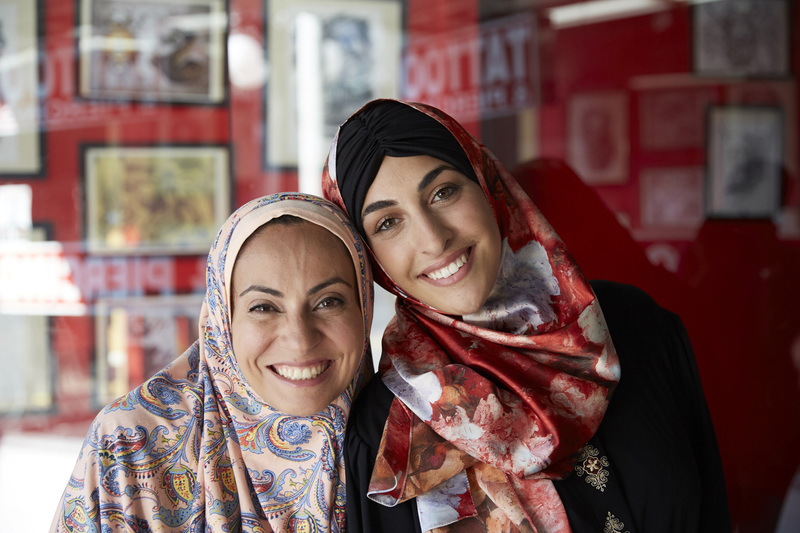 As part of a content series around the campaign message, Buzzfeed will develop posts that aim to inspire all Americans to reflect on their own assumptions of what the “average American” looks like. In addition to John Cena’s participation, WWE will also utilize its global platforms including WWE Network, television broadcasts, live events, and digital and social media to support the campaign. Love Has No Labels, a digital-first campaign, first launched nationwide in February 2015. 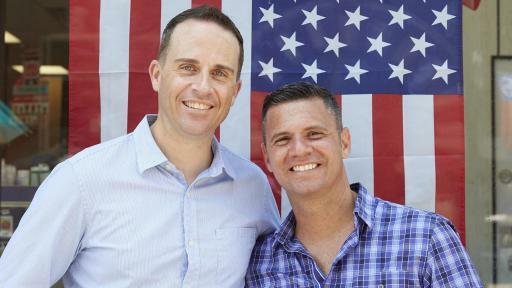 The initial video, filmed on Valentine’s Day, featured real people in diverse relationships spanning different backgrounds and encouraged viewers to question their assumptions of what constitutes friendship, romantic love and family. Since the campaign’s first video debuted exclusively on Upworthy, it has been viewed over 160 million times making it the 2nd most viewed video in 2015. As a result, there have been over 2.7 million sessions on lovehasnolabels.com, where visitors were offered a quiz to examine their own biases. 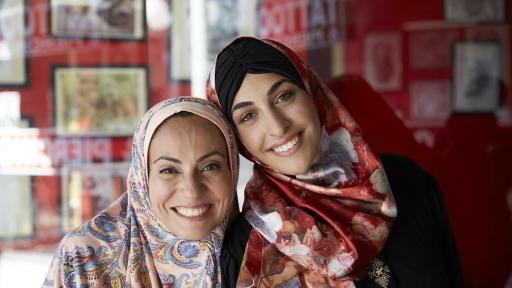 Additionally, more adults report discussing discrimination and prejudice and saying that they are regularly accepting and inclusive of others, according to a recent survey commissioned by the Ad Council and conducted by Ipsos, Public Affairs. To date, the award-winning campaign has received nearly $27 million in donated media. To learn more, visit Love Has No Labels’ website and join the campaign’s social communities on Facebook, Twitter and Instagram. R/GA, the agency for the Connected Age, develops products, services and communications to grow our clients’ brands and businesses. Founded in 1977, the agency has been a pioneer at the intersection of technology, design and marketing with work spanning web, mobile, and social communications, retail and e-commerce, product innovation, brand development and business consulting. R/GA has more than 1,800 employees globally with offices across the United States, Europe, South America, and Asia-Pacific and is part of The Interpublic Group of Companies (NYSE:IPG), one of the world’s largest advertising and marketing services organizations. For more information on R/GA, please visit us at www.rga.com and on Facebook and Twitter.